Home News Changes to Universal Credit will help landlords. The announcement comes after what the landlord body says has been “extensive campaigning”. The changes to the way Universal Credit will be administered for landlords will make it easier for direct payments to be made to landlords when tenants default. 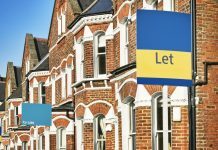 The Department for Work and Pensions (DWP) has today confirmed that (UC) landlords will no longer need a tenant’s consent to allow direct payments when landlords are applying for payments of rent direct to the landlord, or in the DWP parlance, Alternative Payment Arrangements (APAs). Previously, landlords had to seek ‘explicit consent’ from the tenant to trigger these payments. In practice this usually meant tenants could delay or even refuse consent, leading to substantial rent arrears. Following the RLA’s intervention the DWP has now scrapped the requirement and, if a landlord can show that the tenant is in arrears of two months or more, the DWP it will commence payments direct to the landlord – this was always the case under housing benefit. 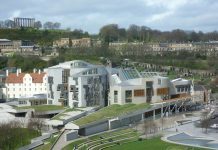 “The latest news regarding APAs is a major step in the right direction, and will improve the operation of Universal Credit for landlords and tenants. “The RLA’s close working relationship with the DWP has led to this and a number of other constructive changes in the operation of Universal Credit. The change to APAs was brought into effect from 20th December 2017. Tenants will have the opportunity to challenge applications, and under the new system will be given seven days to dispute or disagree with the request. If they can provide evidence that they are not in arrears – or that they are in dispute with their landlord, the APA will not be created. The DWP said the move will both help Universal Credit claimants manage their money and help reduce the risk of rent arrears. A debate on the effect of Universal Credit on the private rented sector, initiated by Liberal Democrat Work and Pensions Spokesperson, Stephen Lloyd MP, will take place in Westminster Hall at 9.30am on Tuesday 9th January. Has anyone actually tested this to see if the DWP are keeping their end of the bargain? i have 4 tenants in rent arrears and im about to evict however i id rather have the rent paid direct to me. Ive had apa set up on all of them but all the tenants needs to do is walk into the job center and request it gets paid back to them. Well, I this seems like a good change and good thing is I’m from the landlords’ side! I wonder if anybody else is having the same trouble as me. I have been having my tenants rent Benefit payed directly to my account for the past 3 yrs. it has now changed over to Universal Credit and unless the tenant agrees that the money goes into my account it will go directly to them. I never would have agreed to take the tenant on these terms with the council. The last payment I had from the council was Nov 17 it’s coming up to 3 months now I haven’t had any payments. Universal Credit have never contacted me I contacted them after a letter I received from the council stated they would no longer be paying the tenants benefits. The won’t discuss the tenants situation with me. Which I understand to a degree. My tenant doesn’t have internet or even a mobile. He is never in or never answers the door when I knock. There should be a department for landlords in this situation. I’m self employed and off work after shoulder surgery. I will be off for 3-4 months in struggling to pay my mortgage and the mortgage on my rental property.